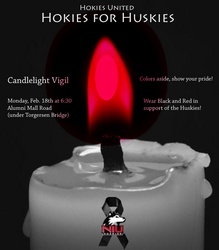 Promotional flyer for "Hokies for Huskies" candlelight vigil at Virginia Tech, organized by Hokies United. 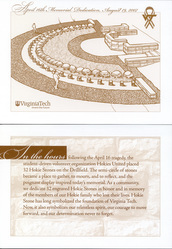 I snapped a very quick set of photos of these signs for a panoramic after ESPN Gameday ended just before the first game of the season on September 1, 2007. 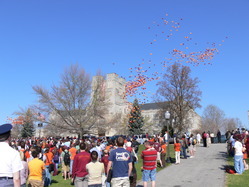 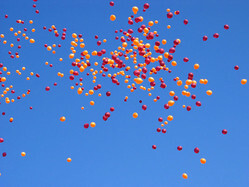 Orange and maroon balloons released at a Hokies United drillfield memorial service on the morning of Monday, April 23, 2007.